Parisian luxury house, Christian Dior, announced yesterday their intention to bring their latest haute couture show to the Middle East for the first time in the history of the brand. The Spring-Summer 2019 collection is set to be displayed in Dubai on the 18th of March through a themed runway show. Even though the exact location has not been confirmed yet, the show will also feature few designs, which were exclusively designed by the brand’s creative director for the region. 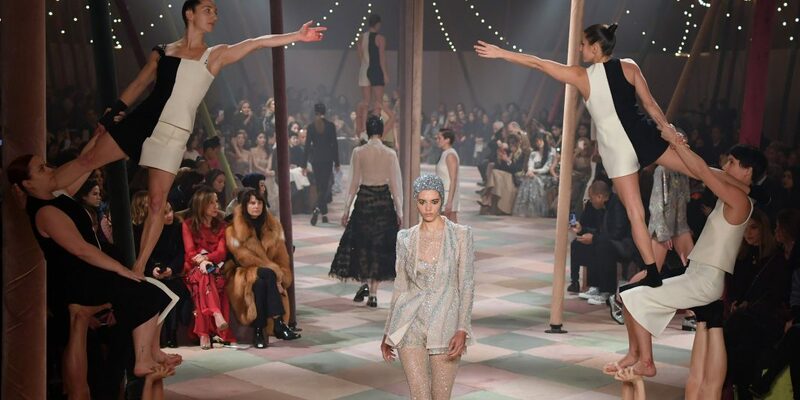 The circus-inspired show originally took place last month in Paris, where guests were treated to an exceptional experience. From the large tent to the breath-taking female acrobats and intricate beauty details, the global audience was instantly absorbed by the show’s theme. The collection included a number of dreamy tulle gowns as well as tailored androgynous ensembles, all designed by Maria Grazia-Chiuri; the first female to ever lead the prestigious fashion house.